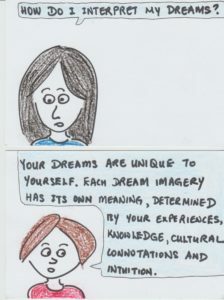 I can interpret my dreams myself because I have my own unique meanings for different dream symbols. I have unique experiences, knowledge, cultural associations and intuition. I use all these factors to interpret my dreams. No one else can understand me better than myself. Therefore, I am the best person to interpret my dreams.